Reverend Anita R. Wright is a woman with a deep love for God. Reverend Wright currently serves as a ruling elder at Memorial West United Presbyterian Church, Newark, NJ. There her ministry demonstrates her passion for preaching and teaching to transform lives. She is committed to sharing the Word of God as God gives her opportunity through her service on the Worship and Christian Education Committee and the Session, as well as her weekly Bible Study group and worship experiences. Reverend Wright grew up in Big Island, VA with her loving parents and three siblings. She attended the Bedford County Public Schools and was actively invested in the Sharon Baptist Church. There she grew in her faith as she participated in the youth ministry, Outreach and Christian Education, and other ministries of the church. Upon graduating from high school, Reverend Wright felt a pull that was the beginning of her long journey to the proclamation ministry. In 2002 Anita was licensed by the Sharon Baptist Church. Understanding the necessity of being prepared, Reverend Wright continued her education at Samuel DeWitt Proctor School of Theology at Virginia Union and Princeton Theological Seminary, where she received a variety of scholarships and awards including the S. Leon Whitney Scholarship (VUU) and the esteemed George E. Sweazey Award for Excellence in Homiletics (PTS). Anita also holds degrees from Virginia University of Lynchburg (A.A., B.A.) and has worked intimately with the Virginia Baptist State Convention. During her tenure with the Virginia Baptist State Convention, Reverend Wright held positions with the Women’s Missionary and Educational Auxiliary (Executive Secretary), the Young Pastors and Ministers Department (Vice President, Treasurer), and served as the State Director of Christian Education. Reverend Wright’s ministry has been varied in its appropriation. Reverend Wright’s ministry has included mentoring other ministers. She has actively mentored several younger colleagues in ministry who are seeking to fulfill God’s call for their lives. 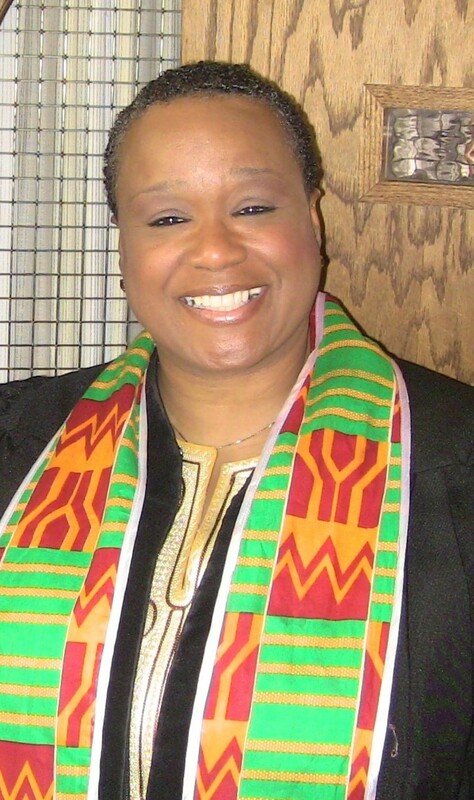 As a part of her commitment to the formation of other ministers, Reverend Wright developed a Ministers in Training course to be used with a local Baptist Association near Richmond, VA.
As part of her call to the local church and to build communities of support among other clergy, Reverend Wright became an original member of the Emerging Sister Circle: a group of women who have dedicated themselves to work towards each others’ success in ministry, recognizing that six women committed to each other can change the world (www.emergingsistercircle.com). Further, Anita is a member of the local ministers’ alliance, the Newark West Ward Clergy Alliance, where she serves as correspondent of the coordinating team. As a bi-vocational minister, Reverend Wright has also served as a Hospice Chaplain, a chaplain intern, and a Residential Childcare Counselor. Even in these places, she has sought to use her gifts and callings to impact the world and transform the lives of those around her. 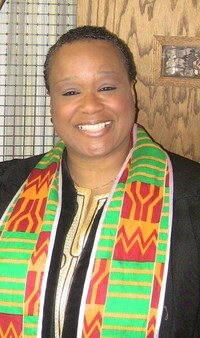 Anita was ordained by Reverend Leroy M. Mitchell III at the Greater Brookville Church in Lynchburg, VA in 2010. She has also completed the requirements for ordination in the Presbyterian Church (USA). She was installed as the Pastor for Trinity Presbyterian Church of Montclair, NJ on April 2, 2017..